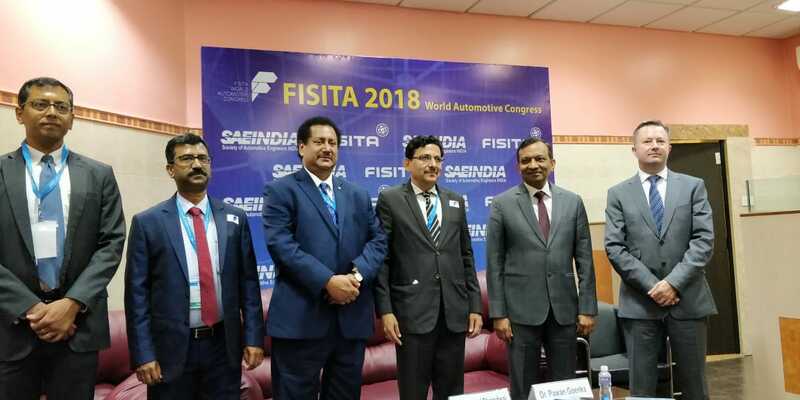 SAEINDIA today announced and inaugurated the 37th Edition of FISITA World Automotive Congress, among the automotive industry’s largest biennial global confluence, being held in India for the first time in the event’s 70 year history. The four day conclave from 2-5th October 2018 at Chennai Trade Center, will host the world’s top automotive leaders and experts on its theme this year “Disruptive Technologies for Affordable and Sustainable Mobility”. 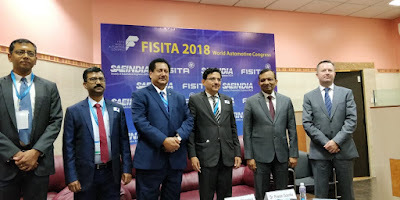 Mr Murli Iyer, Global Advisor, SAE International and VP Americas - FISITA said, “Since 1947, the FISITA World Automotive Congress has taken place in iconic, international locations of importance to the motor industry. Now, as the traditional industry is fast evolving into the mobility services sector of tomorrow, we are delighted to be holding it in India for the first time in Chennai, together with our colleagues at SAEINDIA.”He commended the theme chosen for the Congress as truly contemporary and futuristic in its approach and expected positive solutions to the issues and concerns facing the industry in terms of congenial policy framework and supporting infrastructure.